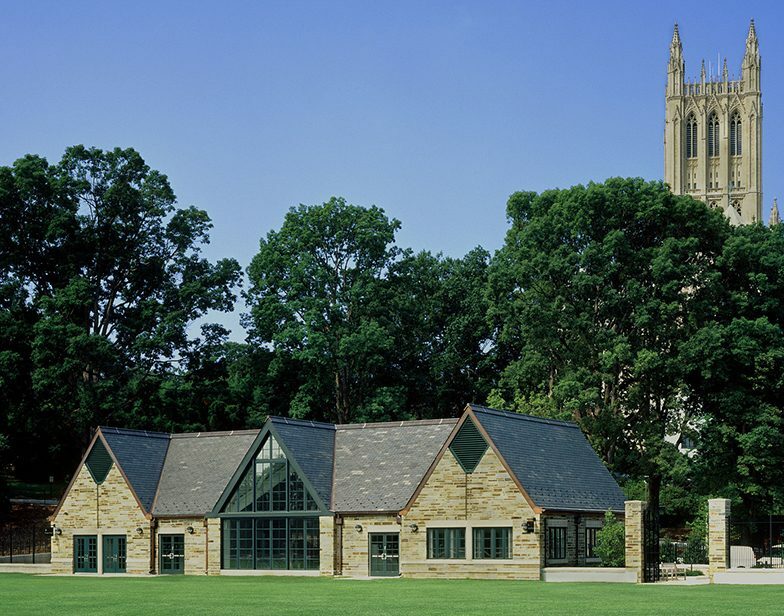 The National Cathedral School offers an educational environment that encourages young women in grades four through twelve to develop their full potential as well-rounded and capable individuals. 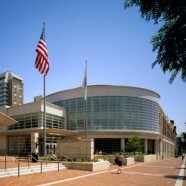 Founded in 1900, the school shares a 57-acre close of wooded areas, athletic fields, and tennis courts with the Washington National Cathedral and two related schools: Beauvoir School, a coeducational primary school and St. Alban’s School, a boys’ school incorporating grades four through twelve. 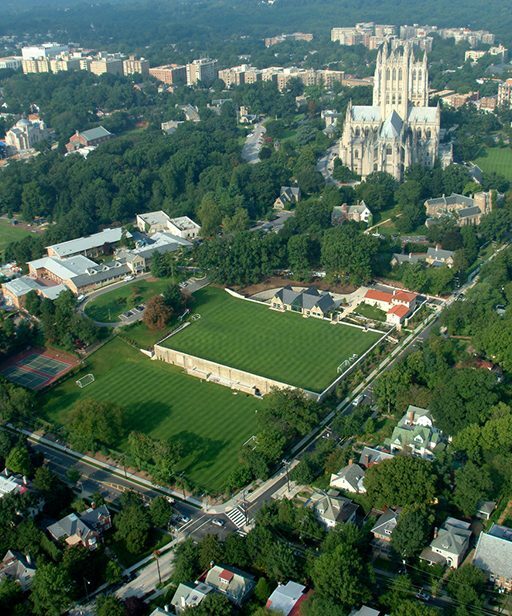 Requiring a new athletic center for its students, National Cathedral faced the challenge of creating a 90,000 sf facility while also preserving the integrity of a site shared with the cathedral and planned by renowned landscape architect, Frederick Law Olmsted. 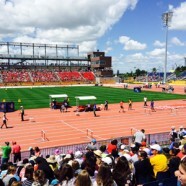 Guidelines stipulated that no more than 14% of the grounds could be developed, with the remainder left to grass, tree and fields. 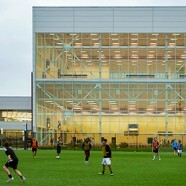 To meet these requirements and to minimize apparent building mass, the design conceals 90% of the building volume beneath rooftop soccer fields and landscaped berms. 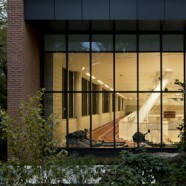 The modest footprint of the entry pavilion masks the variety of activities taking place on two underground levels 45-feet below. 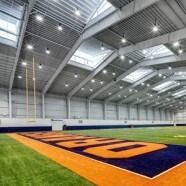 The development of 110-foot clear spans over the two major gymnasium spaces while supporting turf playing fields above posed a significant structural challenge. 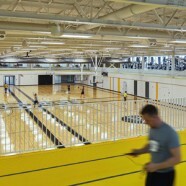 Gymnasium walls were also designed to withstand the force of 40 feet of earth in an uninterrupted vertical span. 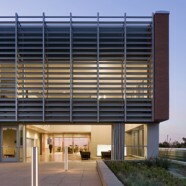 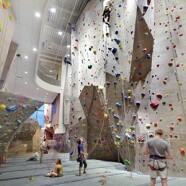 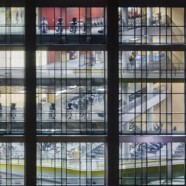 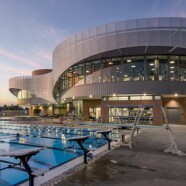 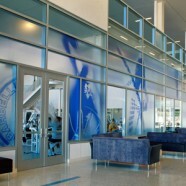 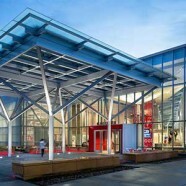 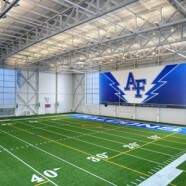 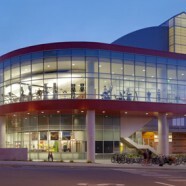 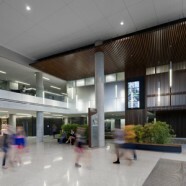 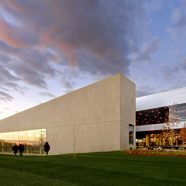 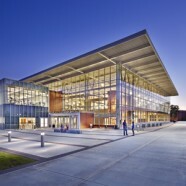 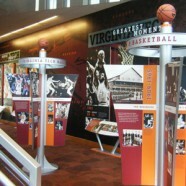 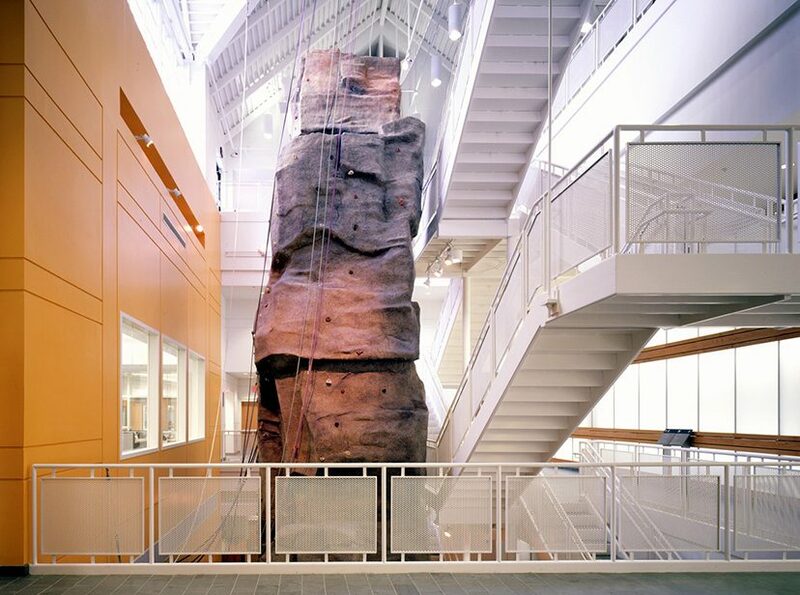 With minimal daylighting, energy efficient lighting applications were a key consideration and carefully tailored to each space and function, as in the gym, where supplemental lighting counteracts shadows thrown by deep structural trusses, and the atrium, where multiple dimmers lighting the climbing wall simulate conditions that range from sunrise to sunset.